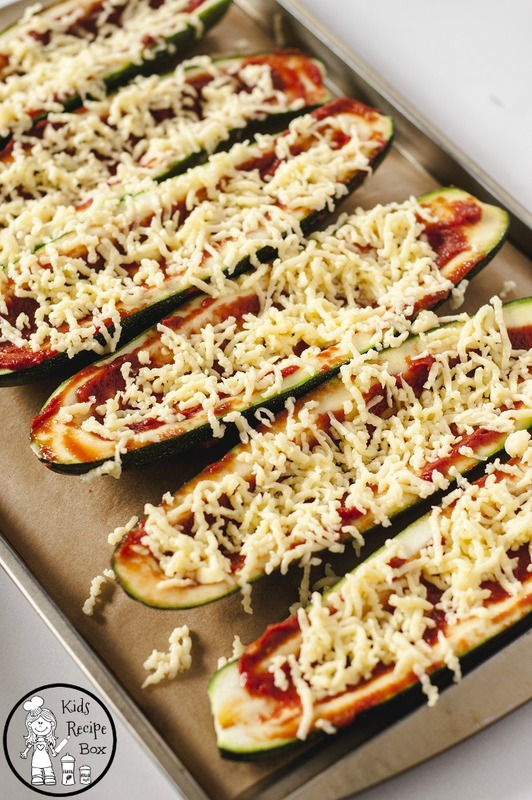 We’re sharing a fun Stuffed Zucchini Boats Pizza recipe today. 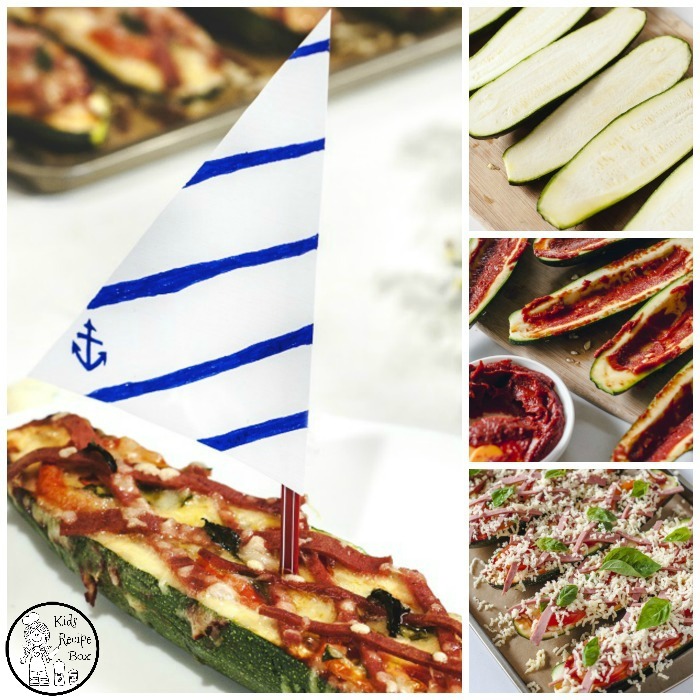 It’s a fun, nautical way to get those kids eating some veggies, and you can call it PIZZA!! Many kids are probably turned off by a giant, green zucchini, but eat a boat? How fun is that!! It is particularly fun if they get to help create their own boat, so include them in the making. My kids are always more likely to try and enjoy something they made themselves than the food I’ve been slaving over for hours. 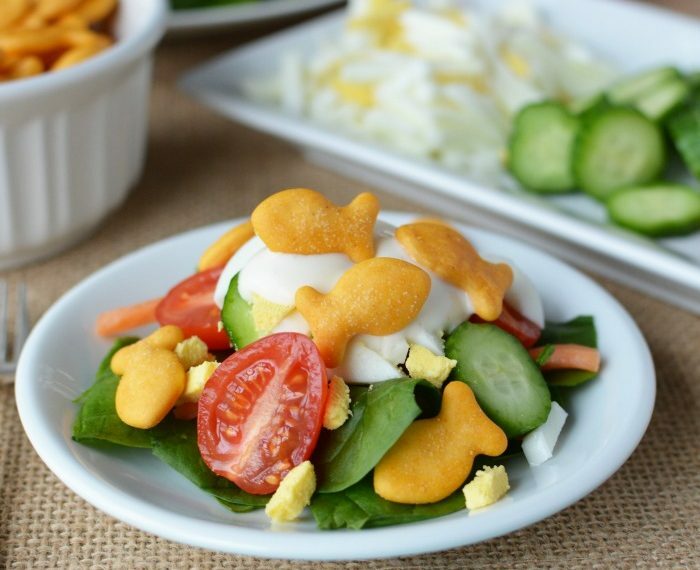 This is a great recipe for kids to help with, because it has lots of fun steps. First, pick out and wash your zucchini. Then slice them in half length wise. Now this is where the fun part comes in. My kids love to scoop out the guts. I give them a spoon and let them scrape that stuff out. Good times!! 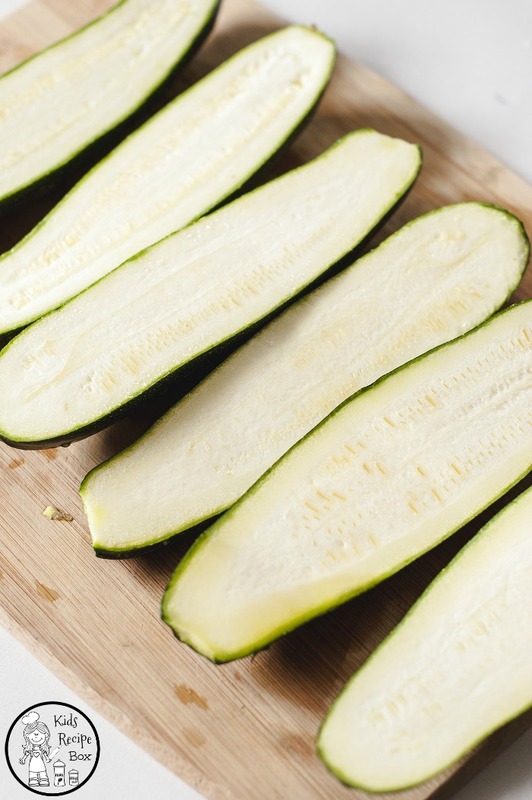 Keep in mind that zucchini is full of water, and will become juicy as it bakes. If you would like it less juicy, scrape out a little more of the zucchini meat. 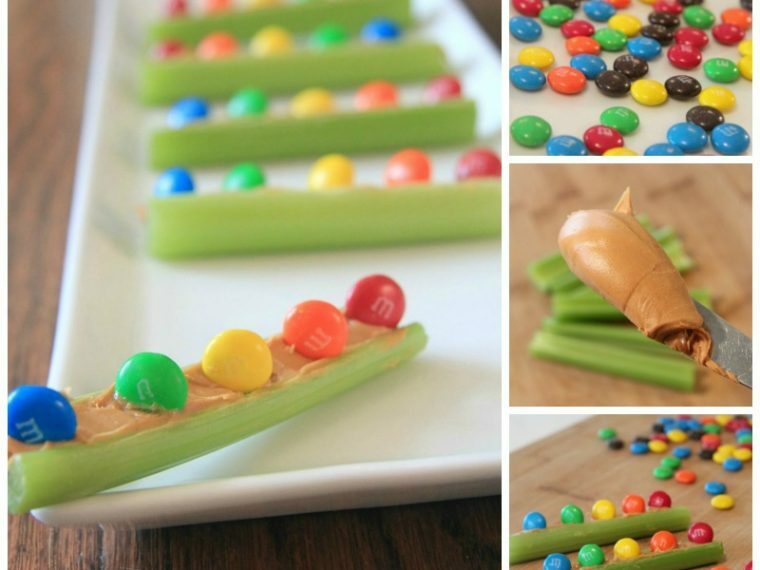 It makes the zucchini boat wall a bit thinner, but works beautifully for this recipe. 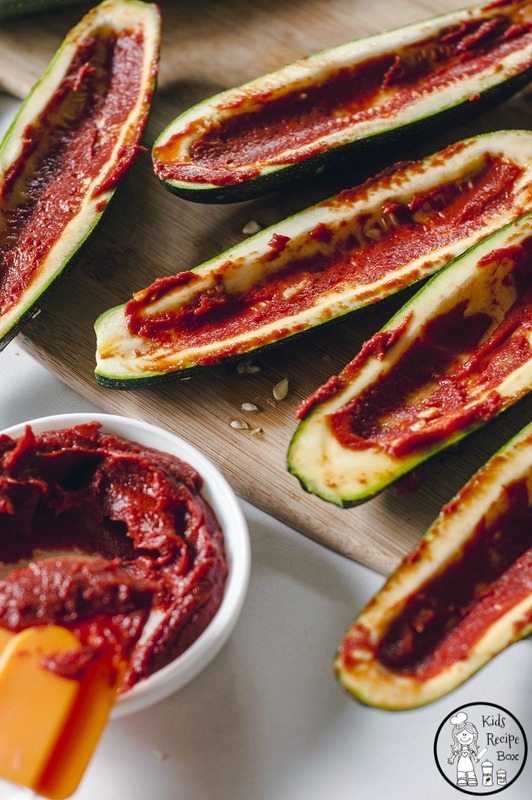 Next, spread a thin layer of tomato paste, (you can use your favorite tomato sauce, but it will be extra juicy) on the inside of your boat. 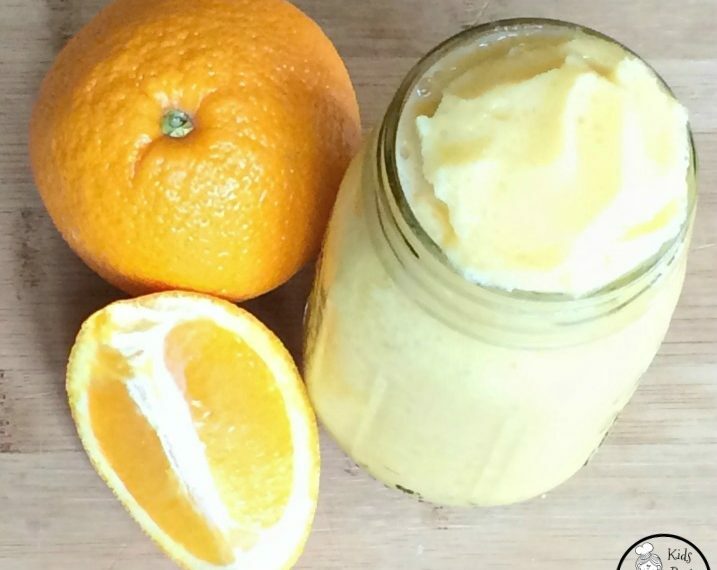 Now here’s where you can get creative. What are you going to carry on your boat? Cheese of course, and maybe some meat and veggies. I love having options and letting my kids choose their favorites. It’s a design your own recipe plan for each individual child, except I only had to make one meal. Mom win! Once your boat is all packed, ready to go, and baking in the oven, have your children design a personalized sail. Cut a triangle from a sheet of paper, and color it however you’d like. Then tape or glue it onto a wooden skewer or drinking straw, and you’re ready to set sail as soon as your boat cools. Preheat oven at 400 degrees F (200 degrees C). Use a fork to score the zucchini then a teaspoon to carve out enough zucchini till what’s left of it is about 3/4 inch thick. 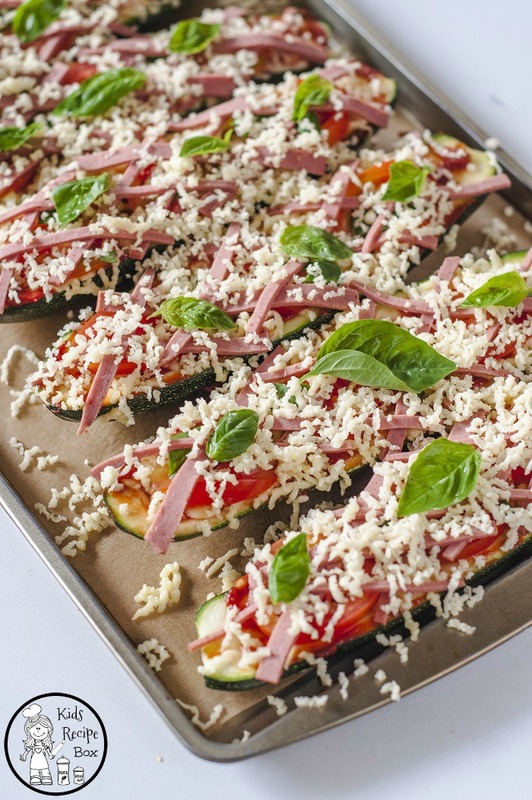 Lay a sheet of baking paper on your baking tray before placing the zucchinis sliced face up. Spread a good amount of tomato paste inside. Then add cheddar cheese, tomato slices, and chopped spinach. Arrange thin strips of ham in a crisscross pattern. 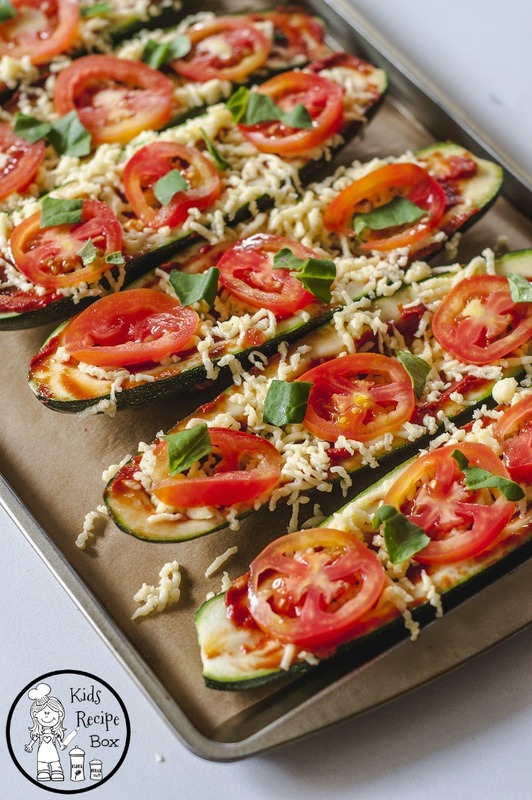 Sprinkle shredded mozzarella cheese over it and top it with basil leaves. Sprinkle over any seasoning of your choice (pepper, salt, Italian dried herbs). Bake for 30 mins (or in my case, I just wait for the cheese to turn slightly golden brown). Allow the boats to cool enough that you can place your sail. Then, anchors away! Take off and enjoy eating your boats!